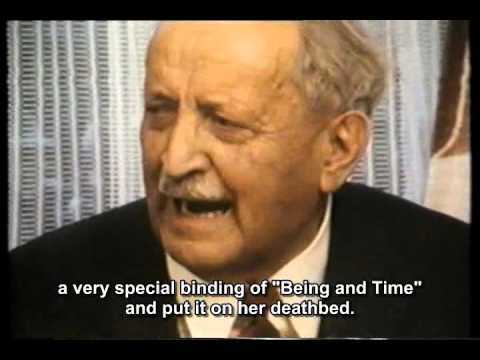 Its hard to think that Heidegger was not seen for what he is….a die hard Nazi. Was he really a Nazi or a Nazi sympathizer?? There is a difference i suppose?? How can a man so ‘narrow’ be so ‘broad’?! I like Heideggers retreat in the mountains, quiet and calm and far from so called ‘civilization’. Wish all of us had similar retreats to retire to once in a while. The being and time arguement is quite powerful .. unthinkable probably means boundless in this context? What happened to the people who think the unthinkable and break philosophic barriers? Lets hope the 21stC produces a few. The way things are, I don’t have much hope though. All philosophers need ‘time out’ from civilization I think – the proverbial shack in the mountains. Heidegger was no exception. very illuminating post. Apparently a pioneer in 20th Century philisophy Heidegger wanted to see what ‘being’ itself is. i.e. as I understand it, beyond metaphysics. But no philosophy has a point if you can’t relate it to life. Can someone give everyday examples.? Does he mean that boredom reveals the Nothingness that is the foundations of existence or human life? If so, does he mean Nothingness literally as being the base of existence. That from which all originates? I am reading “An introduction to Metaphysics” in which Heidegger explains what philosophy actually is. I am very confused by his explanation and was wondering if anyone could shed some light on it. What does he mean when he says philosophy is Untimely, and concerned with the extra-ordinary? What is Heidegger’s understanding of Being? What does he feel Being is? How does it relate to the Ancient Philosophers (Socrates, Plato and Aristotle) that he brings up in the book. Also what does he mean when he says “human being-there”?